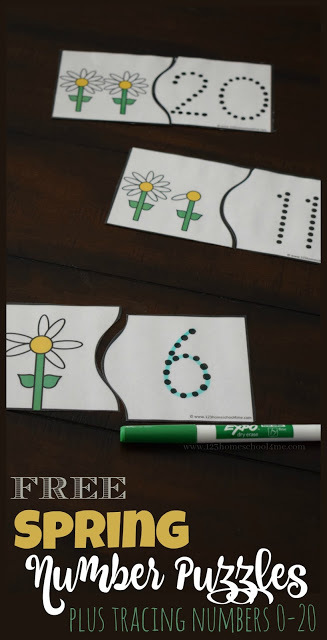 These free printable Spring Number Puzzles are such a fun way for preschool, kindergarten and first grade kids to practice counting to 20 and writing number words too! 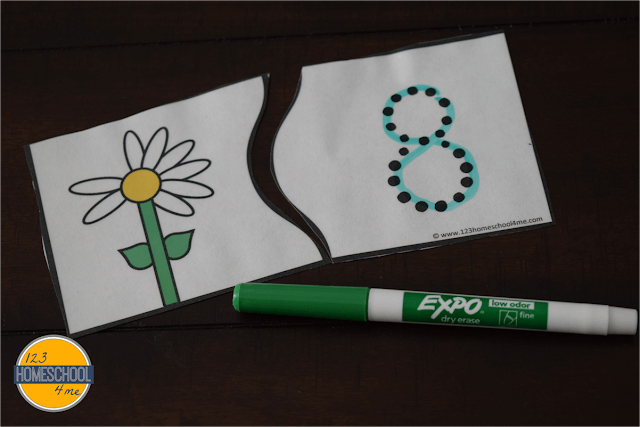 These Spring Number Puzzles are so simple to prepare, just print in color and laminate. Then cut apart the puzzle pieces and set out with a dry erase marker. This LOW PREP counting activity is such a fun way for kids in preschool and kindergarten to practicing how to count to 20 AND write numbers too. 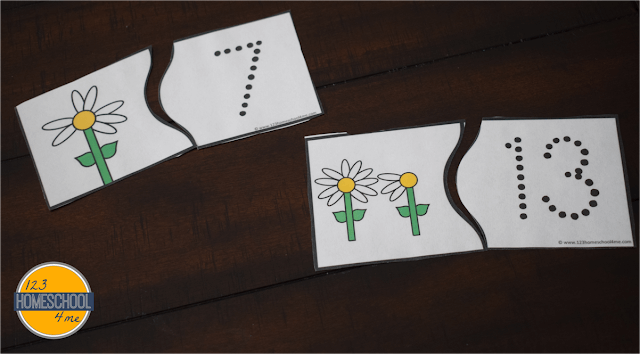 After counting the flower petals, children will match the flower with the correct number. I suggest having students trace the number with a dry erase marker to practice writing numbers too.